Defending champions West Ham United will meet Leicester City in the group stage of the Premier League Cup. 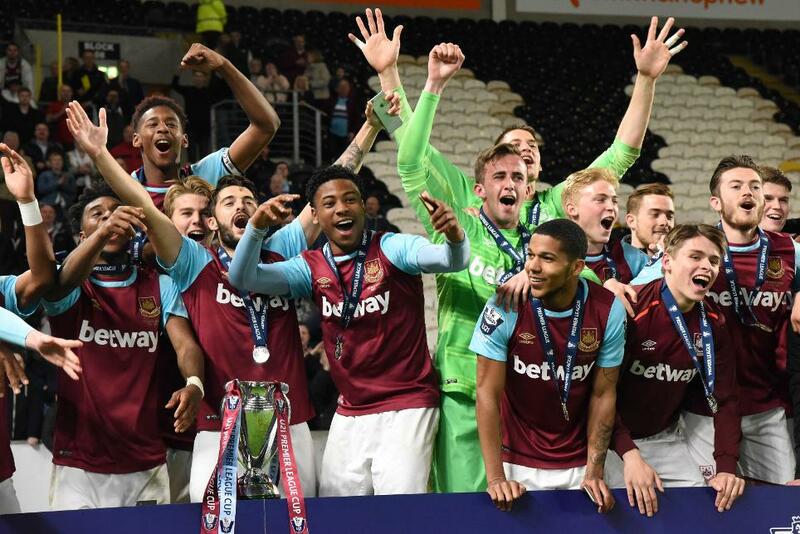 The Hammers won the 2015/16 competition, then known as the Under-21 Premier League Cup, after beating Hull City on penalties at the KCOM Stadium. They meet Leicester, Brighton & Hove Albion and Nottingham Forest in Group E, in a competition that pits Premier League 2 sides against Category Two and Three clubs who contest lower-tier leagues. The top two teams in the eight groups reach the last 16, and that round along with the quarter-finals, semi-finals and final will all be one-off knockout ties. They go to extra-time and penalties if the teams cannot be separated. Like Premier League 2, clubs are allowed to field players under the age of 23, or born before 1 January 1993. Each team can select three over-age outfield players and an overage goalkeeper. Dates and venues for matches within the group stages will follow in due course.